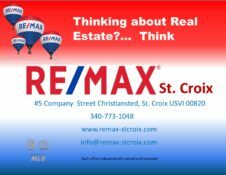 St. Croix is broken up into 11 quarters (like neighborhoods or districts), which each have their own distinct feeling, developments, etc. Keep in mind that St. Croix is only 84 square miles or about 54000 acres (New York City is 468 sq miles), contains 3 national parks, and is home to about 53,000 people. (New York City’s 5 boroughs houses approx 8,175,133 people). We describe each of them briefly moving from the west end (less populated) of the island to the east end (more populated, especially around Protestant Cay). The West End Quarter (WE) – Many of the attractions on the island are located in this area including Sandy Point National Wildlife Reserve, multiple museums, and Mahogany Road (which is a great way to see the rainforest). The land is very lush and the beaches are plentiful. Northside Quarter “A” (NA) – This section of island along the west side of the north shore is the most lush and tropical on St. Croix. As you can see on the map, roads are NOT plentiful here. Again, there are many attractions in this quarter including a golf course, the VI Sustainable Farm, beaches, and rainforests. Prince Quarter (PR) – Bordering the south shore on the west end of the island, Prince Quarter is considered “mid-island.” Salt River National Park, Cruzan Run Plant, Henry E. Rohlsen Airport, and an industrial park are all located in this quarter. The land here is forested rolling to moderate hills. Northside Quarter “B” (NB) – This quarter takes up the middle section of the north beaches on the island. Most of this quarter is also covered in lush landscapes with mountains, valleys and hills. There are great views in all directions – Mt. Eagle is the highest point on St. Croix. There tend to be lots of water sports, including diving, along the beaches in NB. King Quarter (KI) – This quarter borders the south beach in the west – center part of the island. Moving from low and flat to rolling to moderate hills, parks, shopping centers, and Diageo Rum Production Factory are all at home in this quarter. Queen Quarter (QU) – This quarter is the first quarter (starting from the west) that spans the entire island north to south. Salt River National Park spans from Prince Quarter into Queen Quarter. Going from flat to moderate hills, you’ll find quite a bit of shopping and Juan F Luis Hospital and Cardiac Center here. Company Quarter (CO) – Surrounding Christiansted Quarter on all sides, Company quarter spans the island north to south. There are many condo complexes along the beach on the north side of the island. Topography varies from flat to moderate hills with more forest-like areas on the west side of the quarter. You’ll find shopping, clubs, and Beeston Hill Medical Center in this area. Christiansted Quarter (CH) – The smallest of the quarters (by far! ), this area is home to the historic town of Christiansted and RE/MAX St. Croix. It also includes 5 historic structures: Fort Christiansvaern (1738), the Danish West India & Guinea Company Warehouse (1749), the Steeple Building (1753), Danish Custom House (1844), and the Scale House (1856). The southern section of this quarter is mostly residential, while the northern side on the waterfront is more commercial. East End Quarter “A” (EA) – Residential, shopping and businesses can all be found in this section of the island stretching from north to south, but not actually on the very east end of St. Croix (that’s East End Quarter “B”). Gallows Bay is a popular commercial area bordering East End Quarter “A” and Christiansted. Green Cay island, a protected bird sanctuary is north of this quarter. EA tends to be more desert like and less forested than the rest of the island. East End Quarter “B” (EB) – This quarter is the east end of St. Croix and is the most eastern part of the United States. This area is the driest on the island, where you’ll find succulent plants rather than lush forests and the land tends to be flatter than the rest of the island. You’ll find more diving, protected beaches, and Estate Grapetree. Buck Island National Park is located north of this section of St. Croix.